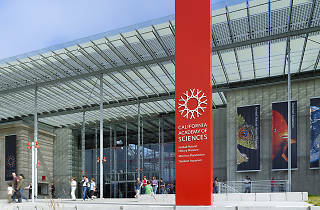 Cal Academy is an aquarium, planetarium, rainforest, and natural history museum wrapped into one. 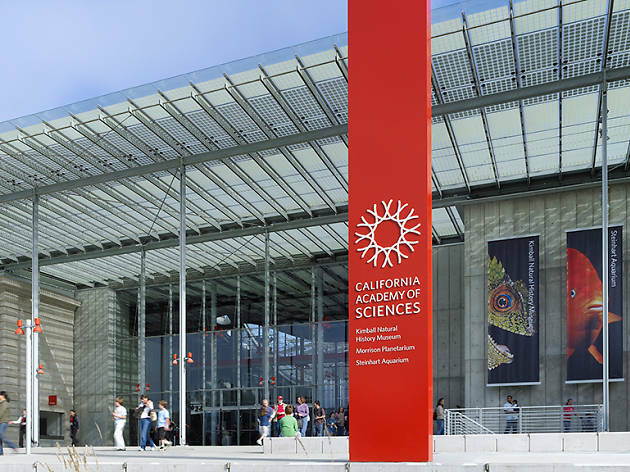 Though it’s considered California’s oldest museum—originally established in 1853—it has morphed over time to remain a vital, vibrant space. 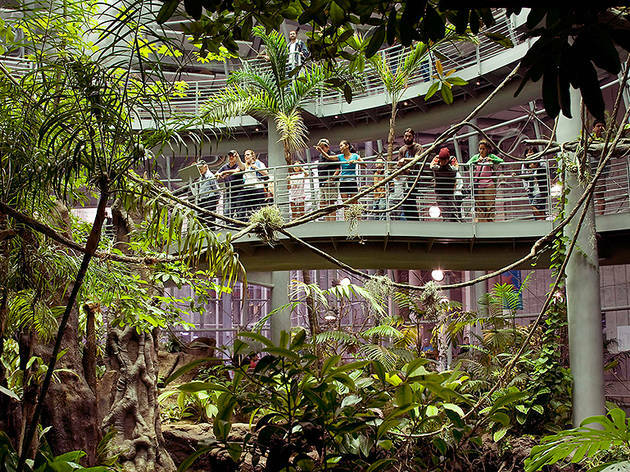 In all, the 400,000-square-foot building contains over 26 million specimens. The Kimball Natural History Museum is perhaps best known for the Africa Hall, where taxidermied animals are displayed behind glass, while the Project Lab showcases real scientists doing research in public view. The Morrison Planetarium features the world’s largest completely digital planetarium dome, measuring 90 feet in diameter. 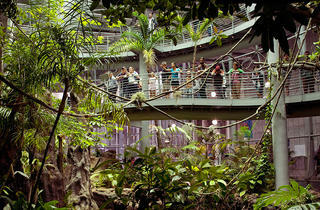 You can meander among the butterflies, marine life, and birds of the rainforest within a humid, 90-foot glass dome. And the impressive Steinhart Aquarium includes exhibits of coral reef, tidepool, and swamp habitats, as well as a colony of African penguins. 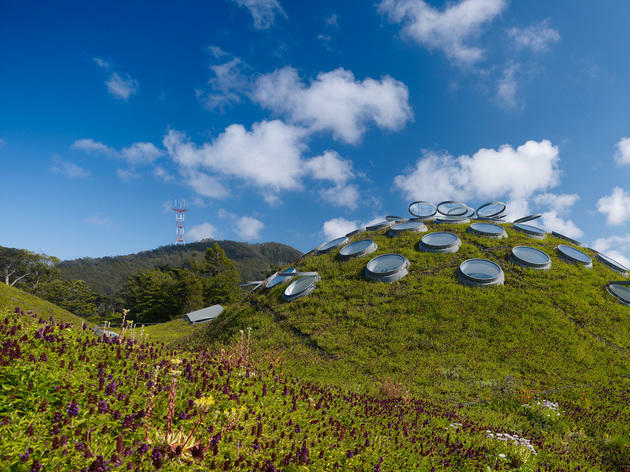 The museum also has one of the most striking rooftops in the city, covered in seven rolling hills and home to an estimated 1.7 million plants. 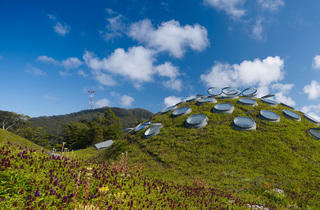 During my first-ever trip to San Francisco, I visited the California Academy of Sciences. A friend and host kicked off the trip by bringing us on a Thursday night when the museum opens its doors not just for perusing, but also for happy hour. The mixture of cocktails, millennials, and a natural history museum sounded like recipe for disaster, but was instead an amazingly fun time. The relaxed nature of the evening made the museum experience feel more intimate and engaging than I’ve had at other institutions – this is indicative of SF’s city vibe on the whole. I had a great time exploring the Osher Rainforest exhibit and, of course, meeting Claude, the albino alligator. A peak at the Naturalist Center’s specimens is also worthwhile.